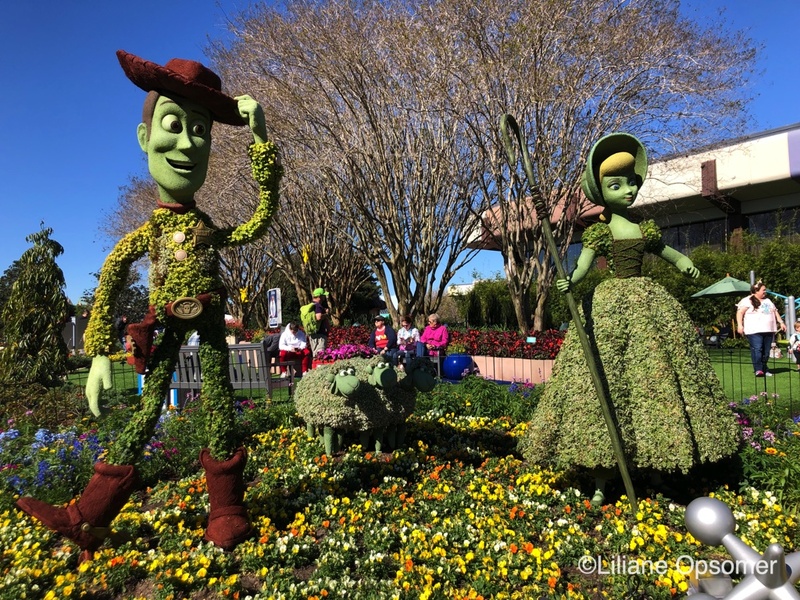 Larger-than-life topiaries, vibrant flowerbeds, and stunning gardens are the hallmark of Epcot’s International Flower & Garden Festival, but will kids enjoy the visit? You bet, and here are six reasons why. 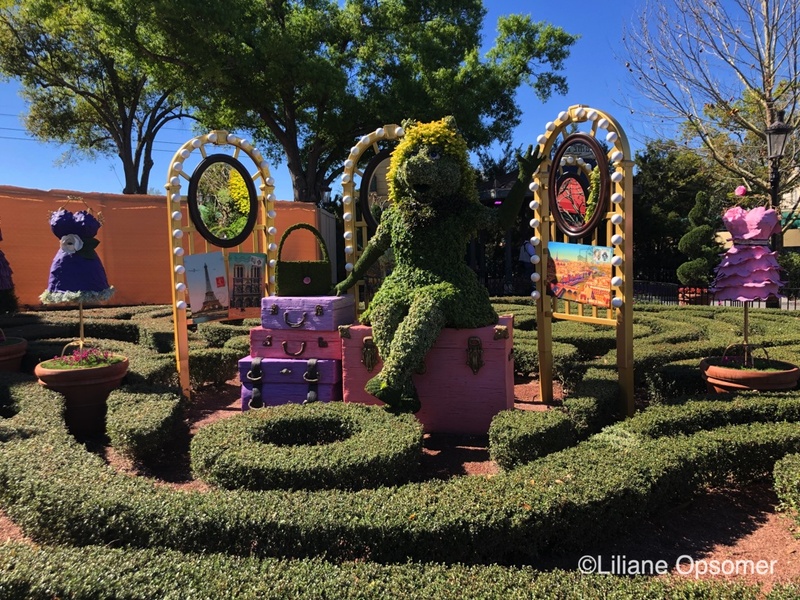 On display throughout Epcot, the topiaries are excellent conversation starters about the movies your kids love best. They also offer a playful opportunity to learn about the countries in which they are located. Traveling around World Showcase, stop at the Kidcot Fun Stops where kids can learn about the countries and receive small keepsakes. 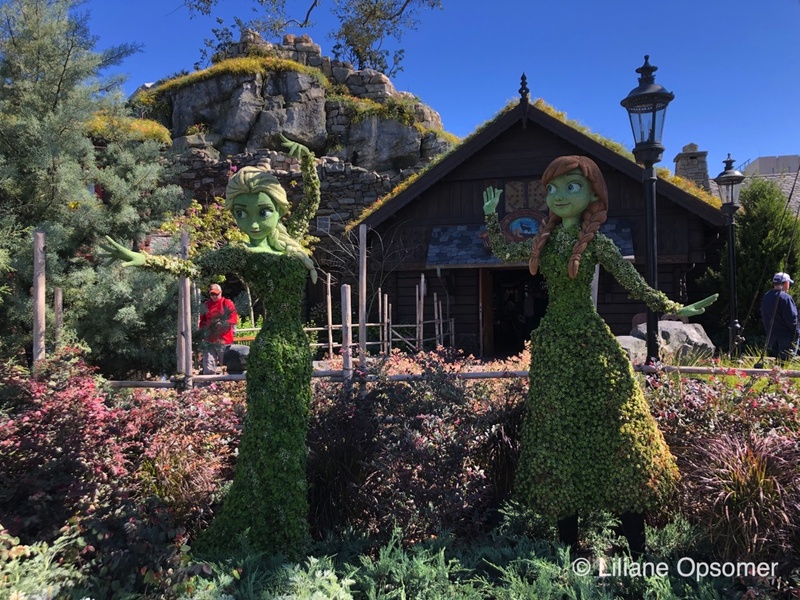 At the Mexican Pavilion, the topiaries of the Three Caballeros beckon while in Norway, Anna and Elsa of Frozen fame are sure to be a big hit. Future World East is home to several topiaries, including mischievous Stitch, found near Mission: SPACE. Lightning McQueen and Tow Mater are located near Innoventions. The stars, however, are Buzz Lightyear, Woody, and Bo Peep and her Sheep from the Disney Pixar movie Toy Story 4. They are part of Bo Peep’s Playtime Training Grounds. Snow White and Dopey can be found in Germany. Peter Pan and Captain Hook, as well as Winnie the Pooh and Friends, are at the United Kingdom pavilion. The Lion King flick is represented by Rafiki, Simba, Mufasa, and Sarabi at the Outpost. The Lady and The Tramp are in Italy, while Beauty and the Beast and Kermit the Frog and Miss Piggy are in France. Bambi and friends are at home in Canada. Two family-friendly play areas where kids can let off steam are also providing relaxing, shaded seating for parents. 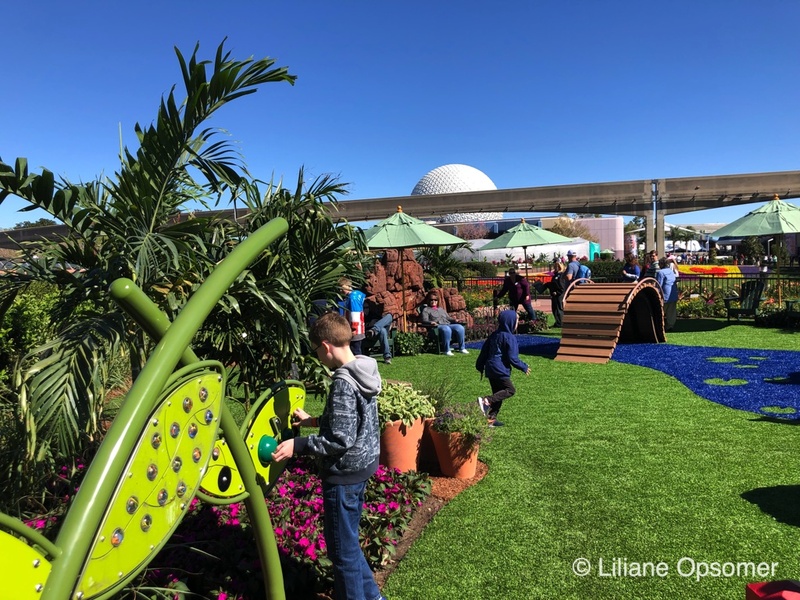 The Play Full Garden hosted by AdventHealth is located on Imagination Walkway, conveniently between several outdoor kitchens. The play garden is equipped with outdoor climbing equipment and fun and interactive outdoor playsets. 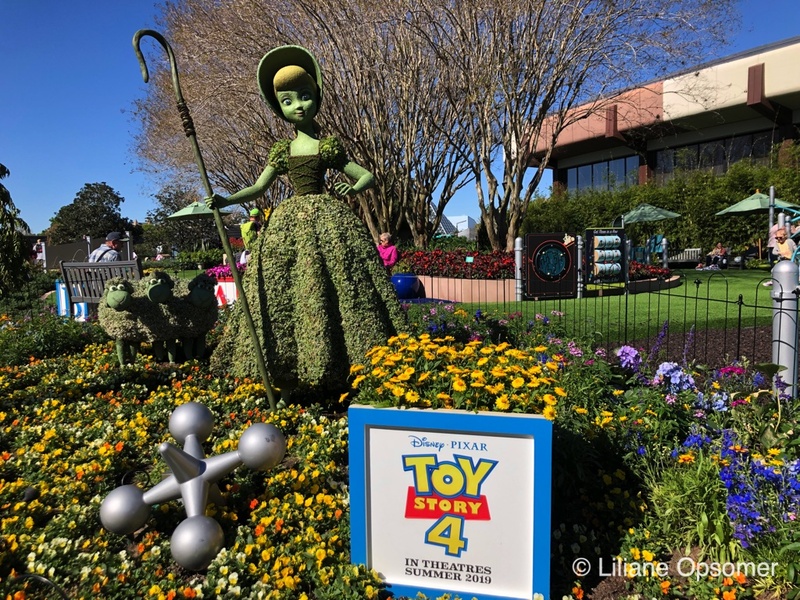 The brand-new Bo Peep’s Playtime Training Grounds playground and garden is inspired by the Disney Pixar movie Toy Story 4 coming to theaters June 21st. It is perfect for little tykes. Find the playground near Test Track. 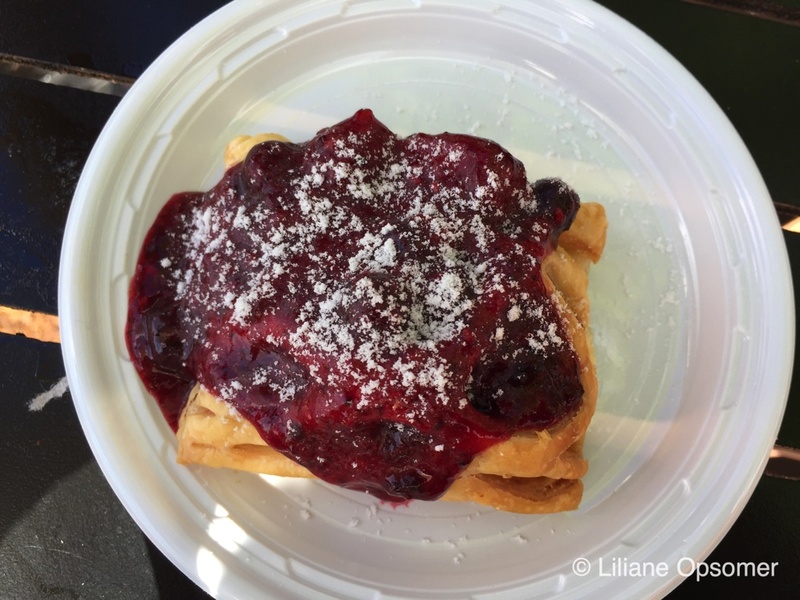 Trying out new food is easy at Epcot’s International Flower & Garden Festival. Dishes served at the outdoor kitchens come in small portions. It is also an inexpensive way to introduce your children to new culinary experiences. Kids will love the laid-back atmosphere of the festival and won’t miss having to sit still at a formal restaurant. Make sure to pick up the free Festival Passport. In addition to listing all available activities, the passport has stickers for all the outdoor kitchens. Kids can apply the stickers to the kitchens they visit and check off the foods they taste. Germany’s Bauernmarkt has great potato pancakes topped with a choice of house-made applesauce or caramelized ham, onions, and herbed sour cream. Warm cheese strudel with mixed berries for dessert is sure to please. At the Italian Pavilion, the Primavera Kitchen tempts with Pizza Toscana, an Italian flatbread with sweet sausage, caramelized onion, mozzarella, Asiago, and Parmesan cheeses. 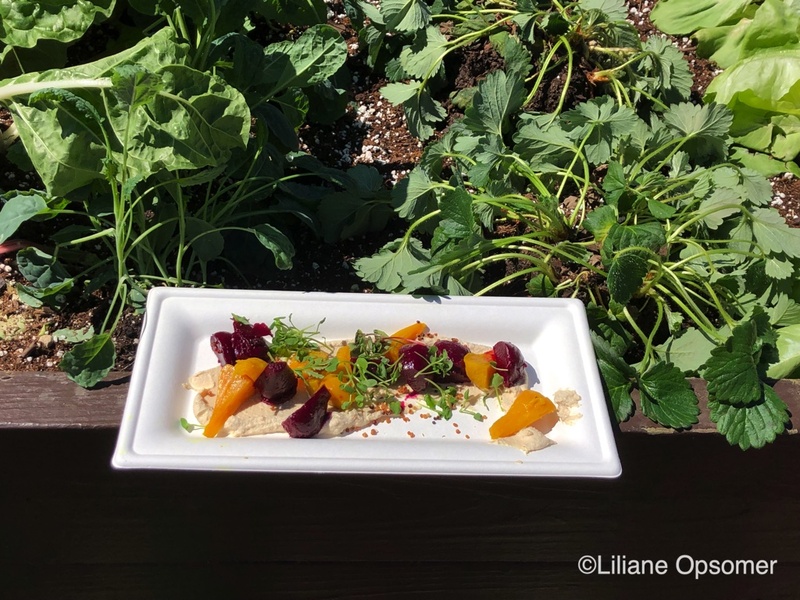 The Lotus House at the Chinese Pavilion serves vegetable spring rolls that kids will love, and the new Flavor Full Kitchen in Future World will delight with a vegetarian salad of roasted beets, cashew cheese, and micro herbs with a lemon-oil dressing. More adventurous eaters might enjoy Beef Torta (Braised beef served on a sourdough roll with queso Oaxaca, avocado, pickled onions, and jalapeños in a spicy habanera sauce) from Jardin de Fiestas in Mexico or chilled soba noodle salad with pan-seared tuna and wasabi dressing from Hamani at the Japanese pavilion. 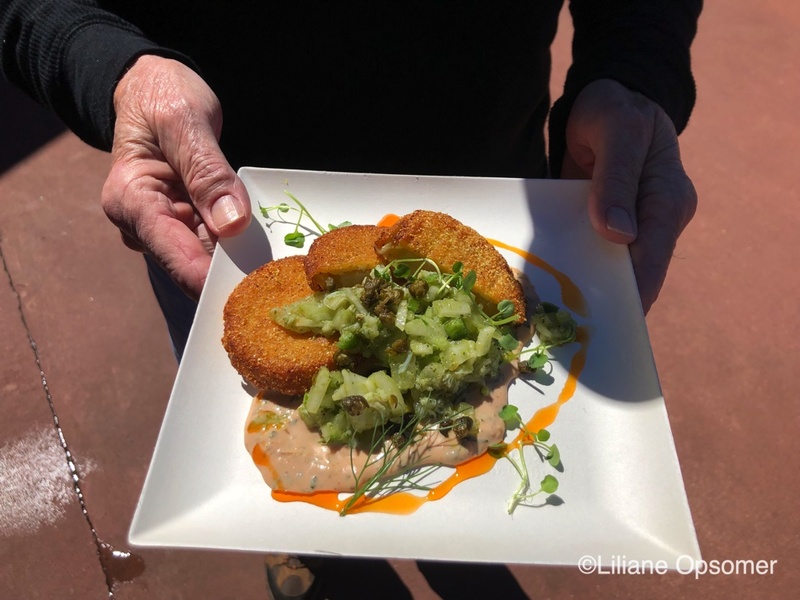 All will enjoy Fried Green Tomatoes with blue crab-fennel salad, remoulade, and smoked paprika oil from Arbor at the Gardeners Terrace. If you like sweets, try the Key Lime Tart with Toasted Meringue from Florida Fresh, which is located between Morocco and France. 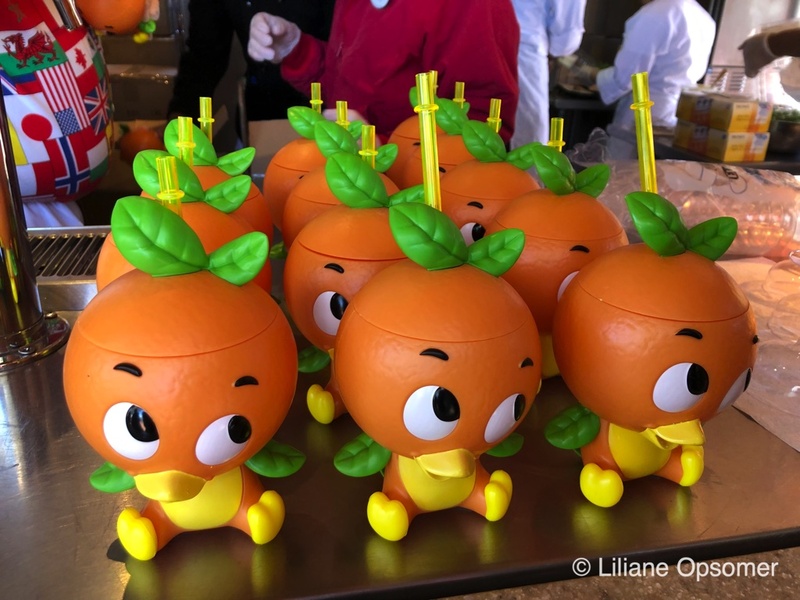 An absolute hit, however, will be the Orange Cream Slushy in a souvenir Orange Bird sipper from Citrus Blossom, located on Showcase Plaza. Dishes are priced $4.50-$8 and many are eligible as a snack item if you are on the Disney Dining Plan. Two scavenger hunts, each $6.99 plus, are available and fun for the entire family. 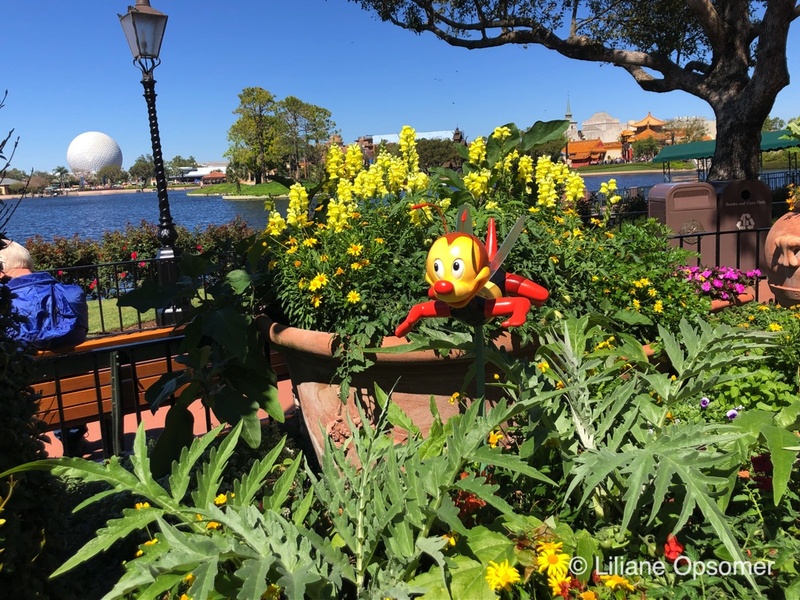 The Spike’s Pollen Nation Exploration invites guests to search for the plants the honey bee Spike has pollinated in the different festival gardens around World Showcase. Armed with a map and stickers, it is your task to find Spike and apply corresponding stickers on your map. Once you’re done, claim your prize—a set of three embroidered sew-on patches. Different sets are available. I went for the one that included Figment! This game is available now through June 3rd. April 5th through April 21st, check out the Egg-stravanza scavenger hunt. The idea is the same, and you know the sticker drill. 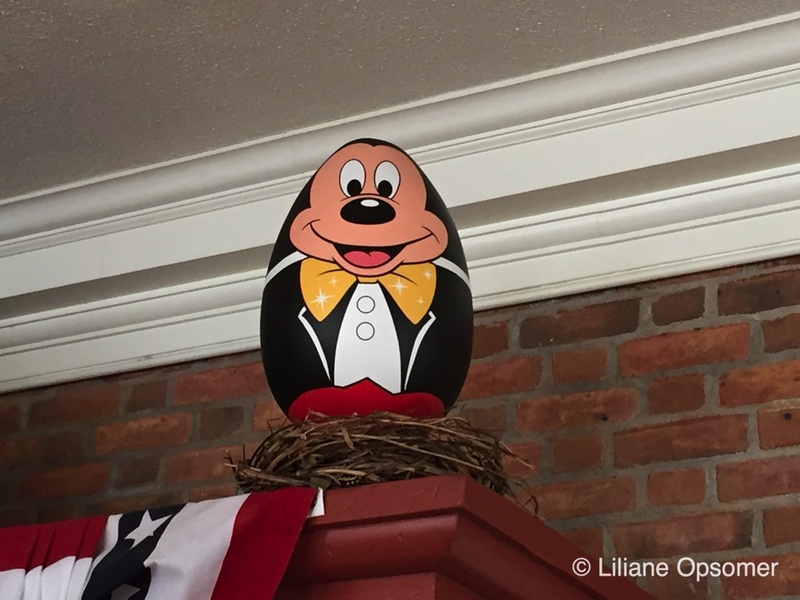 This time you walk around World Showcase on the lookout for Disney character-themed eggs. The eggs are easy to find, as they are quite large, making this a suitable game for younger children. The prize here is a choice of one miniature Disney character-themed egg. Staying with the theme, make sure to visit the Land Pavilion and take the kids on the Living with the Land ride. 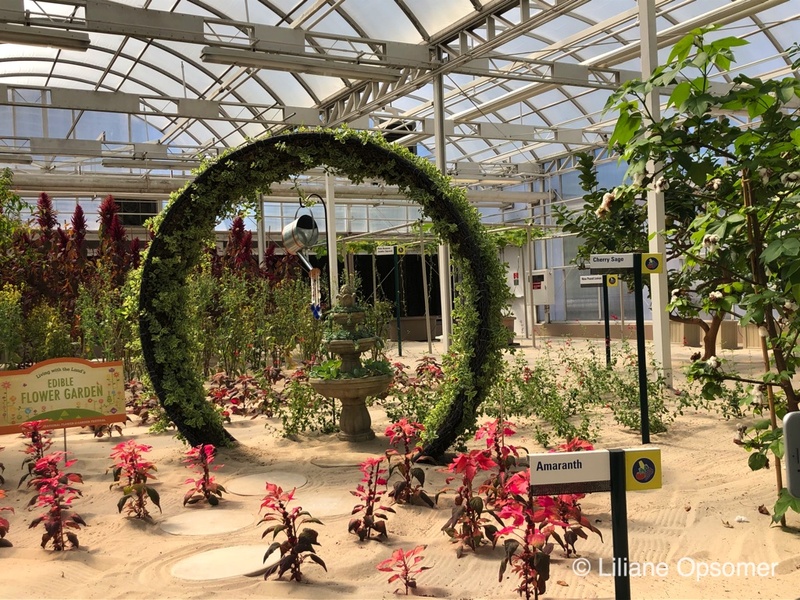 Did you know that the vegetables grown here are served year-round in some of Epcot’s restaurants and in the festival’s outdoor kitchens? 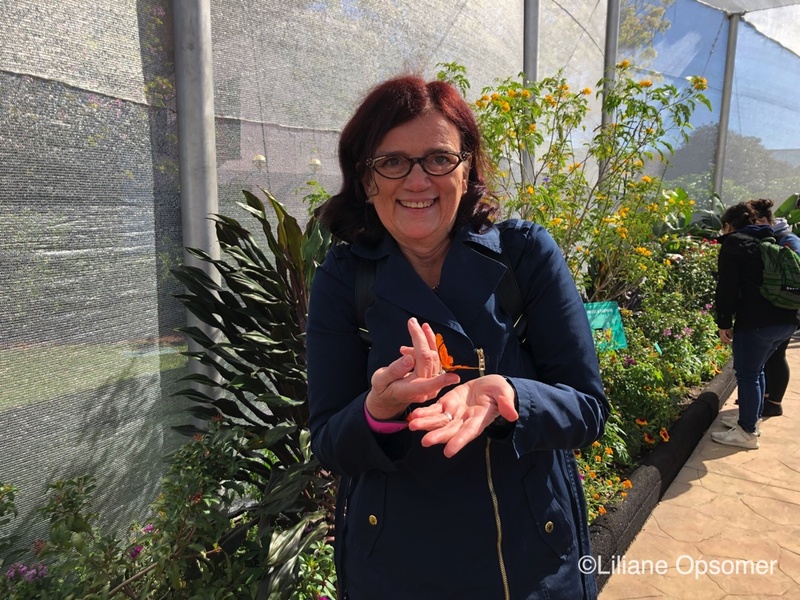 Walk among hundreds of butterflies at the Goodness Garden Butterfly House. One amazing little creature even decided to take a tour with me! Epcot also has some nice rides for young children, such as The Seas with Nemo & Friends, the Grand Fiesta Tour Starring The Three Caballeros at the Mexican pavilion, and, of course, the popular Frozen Ever After ride in Norway. 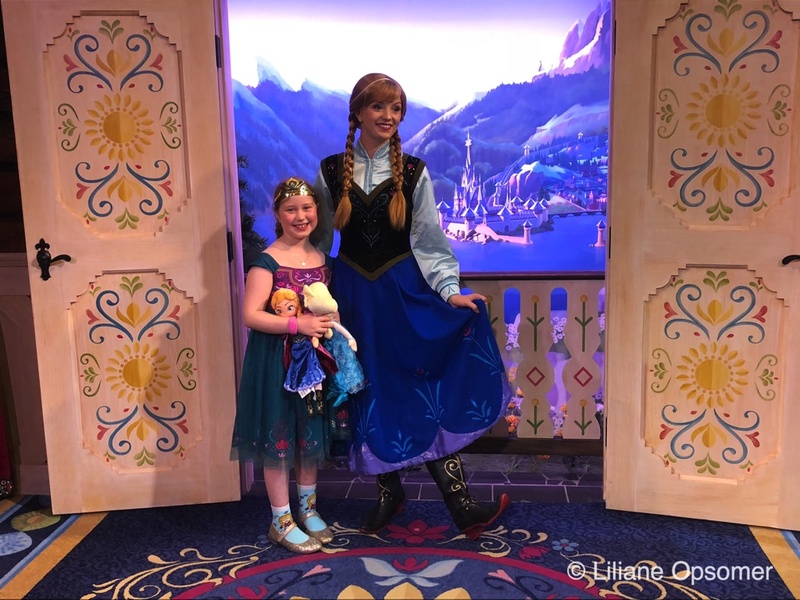 If your children love character meet-and-greets, there are plenty! Anna and Elsa meet at their Royal Sommerhus. Baymax, Minnie, Mickey, Joy, and Sadness can be found inside the Character Spot of Future World West. Ralph and Vanellope are now meeting guests at Image Works, and you can find Pluto, Donald, and Daisy Duck at the park’s entrance. 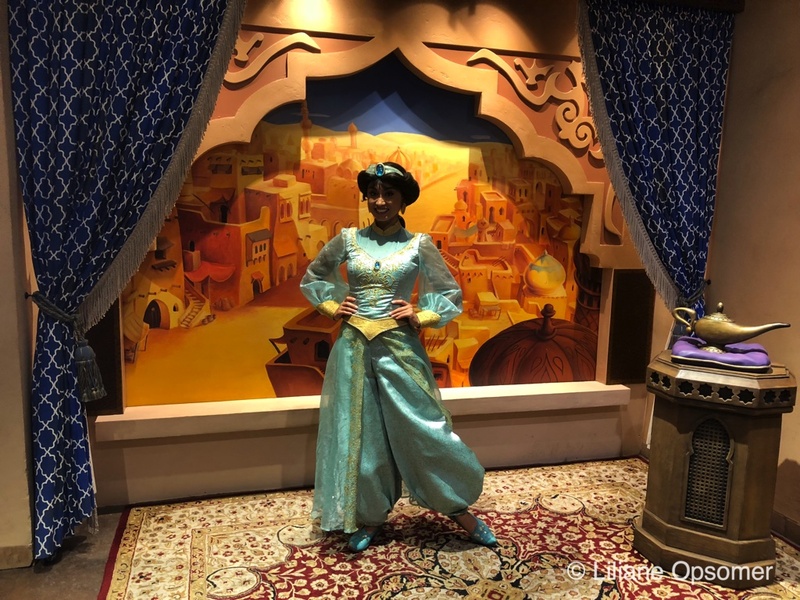 Snow White is at home in Germany, while Princess Jasmine is in Morocco. Alice in Wonderland and Mary Poppins meets their fans at the United Kingdom Pavilion. Princess Aurora and Belle meet in France, and Mulan welcomes guests in China. Disney often changes the schedule of appearances, so make sure you check the Times Guide available at the park entrance. Every evening, the American Gardens stage is home to the Garden Rocks Concert series. The performances are free, with seating available on a first-come, first-served basis. There are three performances daily (5:30 p.m., 6:45 p.m., and 8 p.m.). Find the concert lineup here. Guaranteed seating for a concert is available with a Garden Rocks Dining Package. Prices range from $49 to $82 for adults, $17 to $38 for kids. 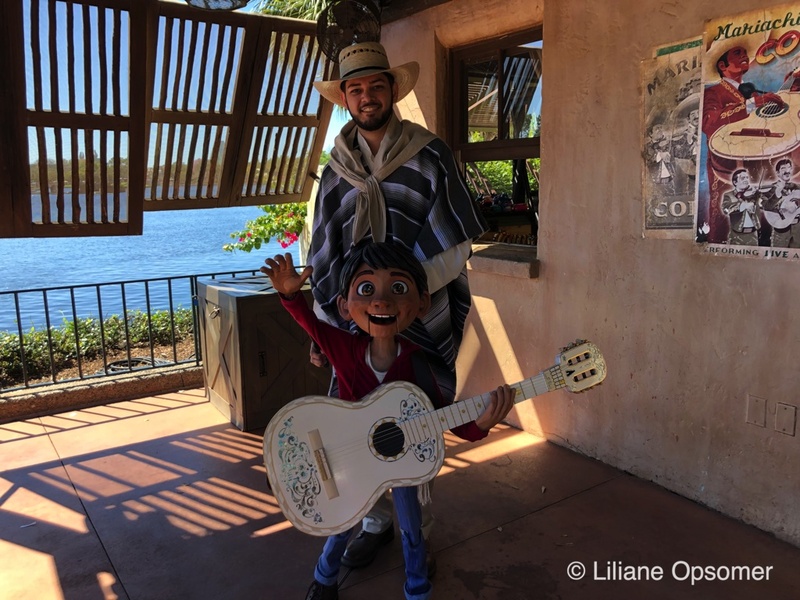 An absolute must and free of charge is the new show Mariachi Cobre Presents…The Story of “Coco.” The award-winning band, joined by a pair of Folklórico dancers, will perform the Academy Award-winning music of the 2017 Pixar film Coco. Together they will recount the story of Miguel Rivera, who appears in the form of a hand-crafted puppet. The show is performed five times daily and is very popular. 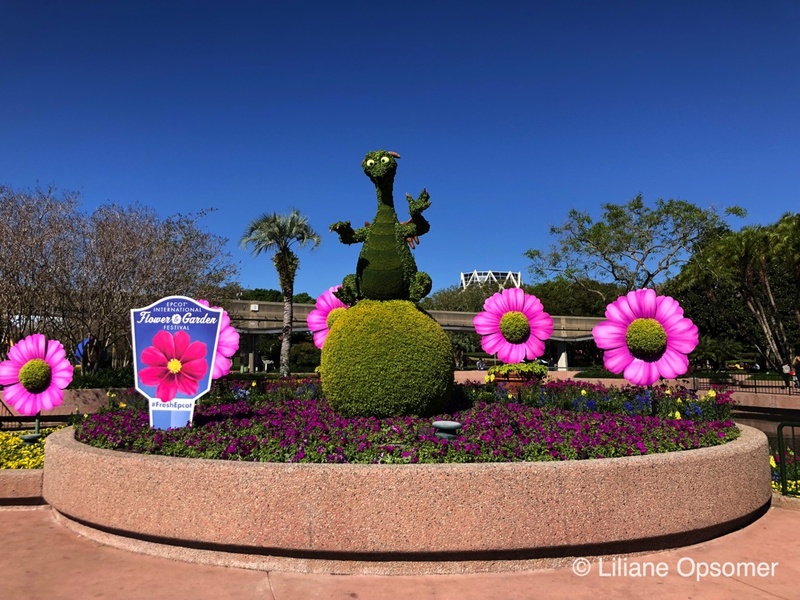 Try to see the first show at 11:30 a.m.
Epcot’s International Flower & Garden Festival runs now through June 3rdand is included in your park admission. For more family fun when visiting Walt Disney World, check out The Unofficial Guide to Walt Disney World with Kids. The guide has all you need to plan a successful visit, including touring plans specifically geared towards families visiting with children. 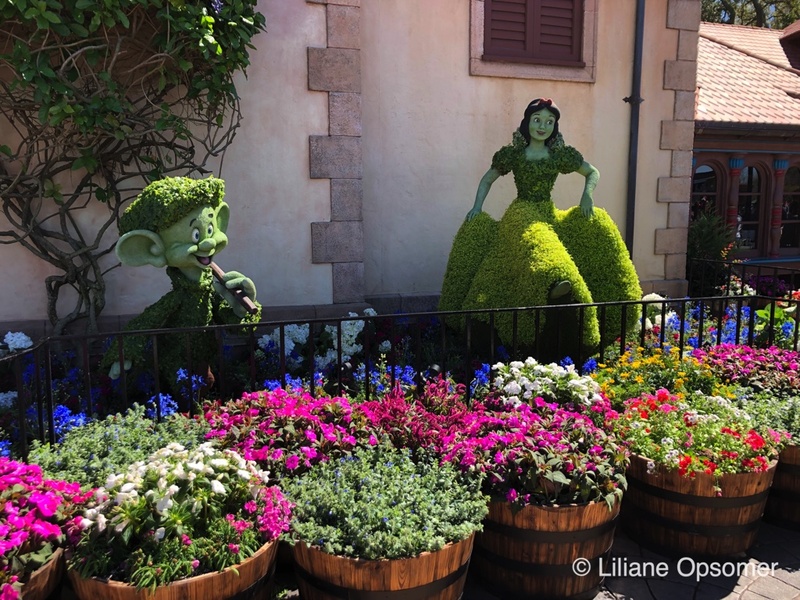 Liliane Opsomer is the coauthor of The Unofficial Guide to Walt Disney World with Kids. She visits the Orlando theme parks several times a year.